Soak fava beans overnight, at least 12 hours. Remove the shells. Boil fava beans for 10-15 minutes, until soft, then drain and set aside. Preheat the oven to 375º and line a baking sheet with parchment. Heat 2 Tablespoons of oil in a skillet over medium heat. Sauté the onion for 3 to 5 minutes, then add kale and peas, and about 2 Tablespoons of water. Sauté for 5 minutes, or until kale looks wilted and tender. In a food processor, give the sautéed mixture a few quick pulses. Do not over-process; this adds texture to your burgers! Empty the mixture into a large bowl. Next, blend the fava beans with about 1 Tablespoon of olive oil in the food processor until smooth. Add the pureed beans to the bowl, 1 teaspoon of sea salt, 1 Tablespoon of flour, and 1 1/2 Tablespoons of olive oil. Use a spoon to mix until well-combined. 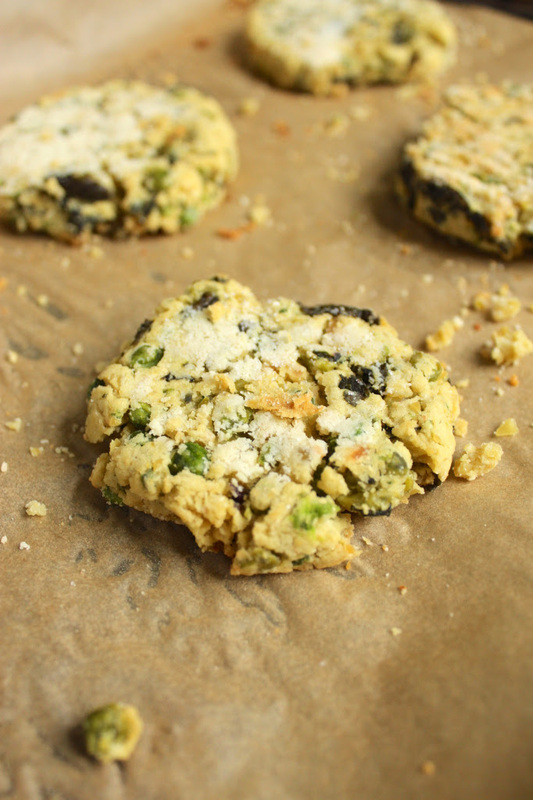 Use 1/4 cup as your guide and shape the mixture into patties, placing them onto the baking sheet as you go. You will end up with 7 or 8 total. Bake for 30-35 minutes, flipping halfway. Preheat oven to 450 degrees. Spray baking sheet with olive oil. Place polenta fries on baking sheet. Spray tops with olive oil and season with salt and pepper. Bake fries for 25-30 minutes more, until crisp and golden-brown. Serve ketchup (and mayo) or create your own sauce with polenta fries.